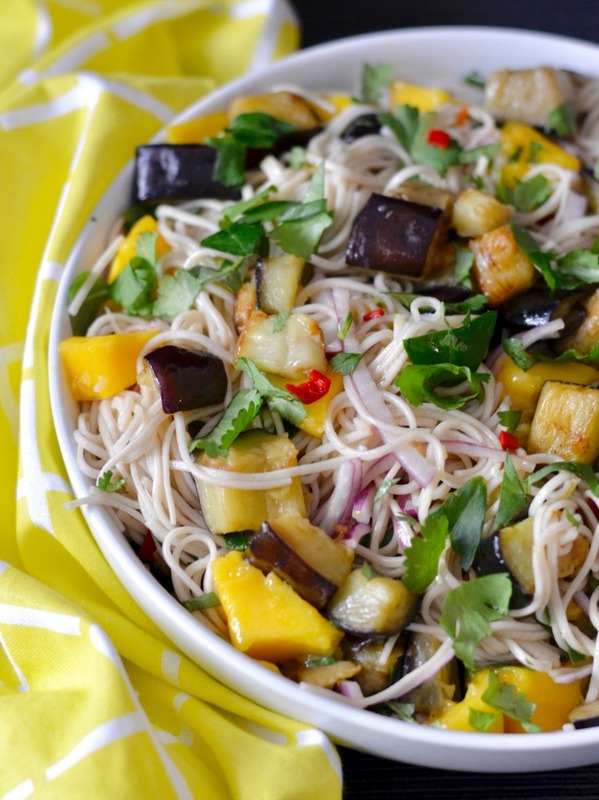 This eggplant mango soba salad was a big hit. 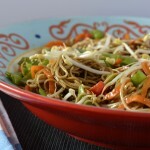 It’s fresh, zesty and light and makes the perfect lunch dish. 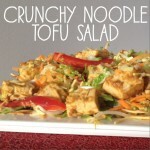 It’s also excellent for dinner, particularly when served with some marinated tofu on the side. So yum. I’ve never been a huge fan of frying things, and even the eggplant in this dish was a struggle for me to cook because using that much oil always freaks me out. I have to say though, it was so worth it! 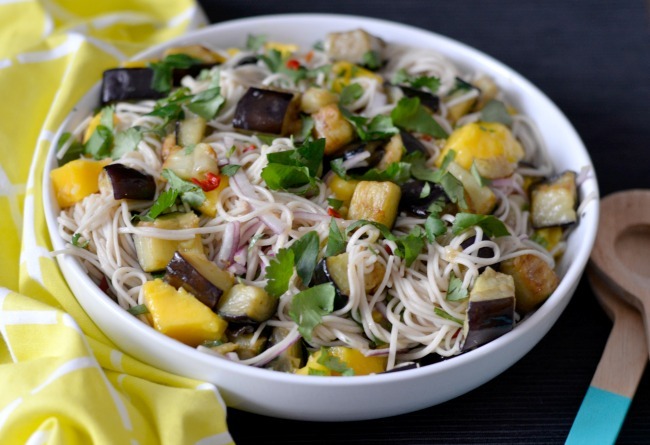 The eggplant is so delicious when cooked this way, and it somehow still felt pretty healthy too! Getting together for an Ottolenghi feast was such a good way to get to eat lots of delicious food with friends, and we all rolled out of there feeling full but oh-so-happy. I have a feeling it will be an event we repeat somewhat regularly now! 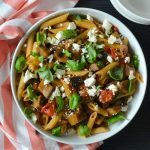 Are you an Ottolenghi fan? 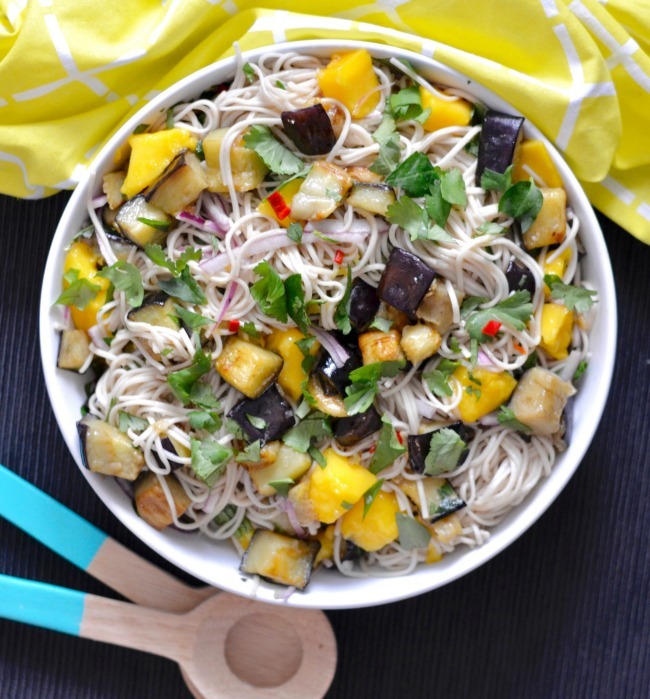 Have you tried this eggplant mango soba salad?